The historic boats conceived, built, and used in British Columbia over the past 120 years are disappearing. There are no longer any existing examples of archetypes such as the sealing schooner or rowing/sailing gillnetter. There are a handful of original Handliners, original trollers and gillnetters have become endangered. Other more modern boats will follow this same path and diverse and unique hull forms, construction techniques, and uses will disappear completely. I would like to start documenting some of these boats before all memory is gone. What follows is a list of 20 boats which could form the nucleus of a project which could eventually encompass many more boats. 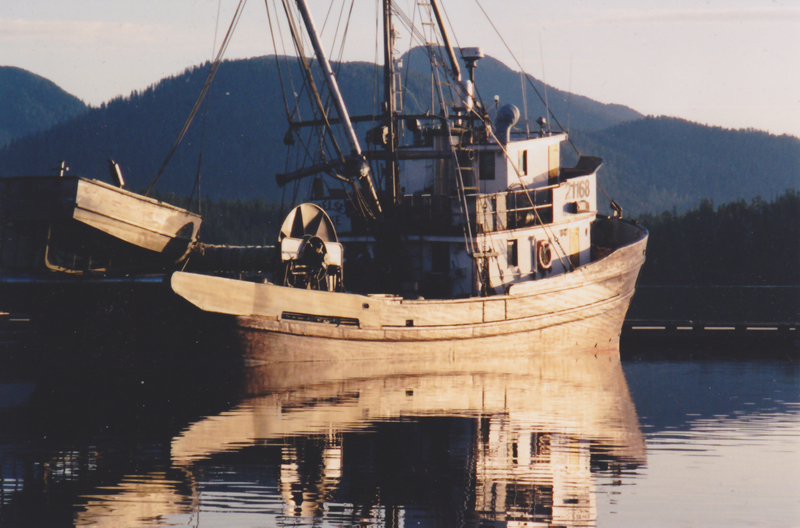 I have chosen 20 because that is enough to form an overview of boatbuilding and boat use in BC over the past century and also because it is enough to make a book. I have chosen these particular boats because they appeal to me personally or I have some personal connection with them. Also I have chosen types that are poorly documented (if at all) elsewhere, so I’ve not included power yachts which are moderately well documented already. My plan is to document these boats so that they may be studied and actually re-created if desired. This documentation will take the form of plans, and would include whatever builder’s information and photographs are available. I’ll collect whatever research I can though I don’t believe there are drawings in existence for any of these boats. Certainly there are no easily accessible drawings. That is one of my chief aims, to make this information accessible. Thus it will all be available on a website as well as in printed form in a book. We will include personal histories when we can get them and eventually we’ll expand to take in further boats. To start this project I’m looking for initial sponsors to contribute toward making this work possible. You can have a hand in recording some BC Maritime history and making it available to others.